Our keynote speaker Connie Dieken has spent many years in the world of media. She is an award winning journalist with the ability to deliver clear and compelling messages. Her skills have given her opportunities to meet and learn from successful individuals from all over the world. The lessons she has learnt have helped her develop an effective methodology which helps individuals hone and perfect the skills needed for effective leadership and success. On stage, Connie weaves her coaching adventures with ripped–‐from–‐ the–‐headlines leadership feats and flops. With insight, energy and humor, she pinpoints why some people achieve their highest potential — and others fall short. Before launching her firm in 2000, Connie was a five–‐time Emmy award–‐winning television anchorwoman and inducted into the Radio/Television Broadcasters Hall of Fame. The audio version of her bestseller, Talk Less, Say More, rocketed to #1 of all books on iTunes. Her newest book, Becoming The Real Deal, was released by Wiley in July of 2013. It focuses on how to be an influential leader through inner, verbal and outer presence. 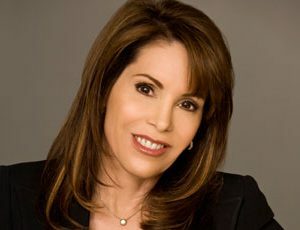 As an award-winning broadcaster and journalist, Connie spent more than 20 years among the most influential people in the United States. During these years of hard-hitting journalism, she studied their unique patterns for success. 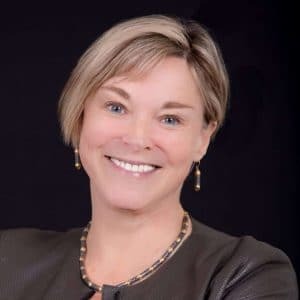 Her company, on Point Communication LLC, brings her experience and methodology to CEOs, EVPs, and SVPs globally, making on Point a leading media and communication coaching company for top leaders and executives. 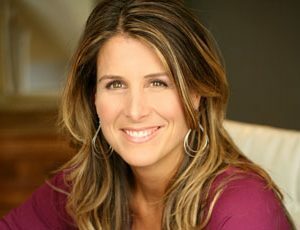 Only a few years after launching her own business, Connie was named one of the “Top Ten Women Business Owners” by the National Association of Women Business Owners(NAWBO). She has crafted a unique methodology that identifies and teaches the skills needed to hone and perfect essential leadership qualities. She guides top executives and leaders at top corporations through methods and skills which are needed to increase personal and corporate performance. Whether it’s advising leadership through change management initiatives, communicating goals with personnel, or giving an effective presentation to thousands, Connie has been at the forefront of understanding and changing the behaviors that affect one’s ability to influence positive action. Now more than ever, people are quick to judge, resist and dismiss. During this highly interactive keynote, Connie pinpoints the three most crucial presence problems that undermine person power – and guides each person to identify and solve their issues to transform into the powerfully influential leader they’re meant to be. Lead others to seek their presence, trust them, and willingly follow their lead. This program is adapted from Connie’s executive coaching program. Our Speaker Connie Dieken is the preeminent expert on influential communication and leadership. As she speaks to organizations worldwide, she customizes each talk to relevant industry challenges and corporate focuses resulting in your audience being influenced to positive action.